Internet Explorer 9 – Unleashed! 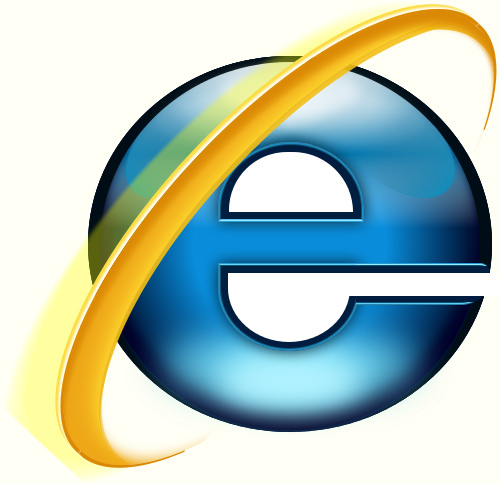 Microsoft has pushed Internet Explorer 9 out the door and released it to the wild. As the first major update to Microsoft’s popular web browser in nearly two years, Internet Explorer 9 brings many improvements such as improved web standards support, better performance and graphics acceleration. Internet Explorer 9 is available on TOAST.net’s Software Page, but keep in mind that only Windows 7 and Vista are supported. Microsoft seems to have turned it’s back on Windows XP with this release. It’s not surprising as Windows XP is approaching 10 years old, and it’s time to move on (my apologies to all those people that bought netbooks with Windows XP on them). Users of Windows XP may want to consider Google Chrome if a browser upgrade is needed. The first thing you’ll notice with IE9 is the toolbar at the top of the screen has been stripped down to bare essentials. There is now a single address/search bar and a few icons pushed over to the right corner. This cleanup frees a lot of screen real-estate, as you can now see much more of the page you are viewing. You can tell Microsoft took a hint from Google Chrome, as the two browsers now look nearly identical. Pinned Sites allow websites to be used as self-contained apps. Besides the cosmetic changes, IE9 has a few new features to play with. The best being “Pinned Sites”- the ability to run websites like apps. You can go to a website, drag and icon down to your Windows toolbar, and the website will run like a self-contained program. For example, let’s say you go to your banking website frequently. This normally consists of opening Internet Explorer, going to Favorites, clicking the link, and then waiting for the page to load. With the new Pinned Sites feature, you can drag an icon from the address bar down to your Toolbar and gain the ability to go to the site directly. Accessing a website in this manner dedicates an entire session of Internet Explorer to your page, and a custom icon is created for it. While in this mode, navigation tools are limited to prevent you from accidentally browsing away from your site. I found it very handy to make icons for my Google Docs tools and Email. Hardware acceleration is the buzz word for browsers today. Google Chrome 10 and the upcoming Firefox 4 both include it, and IE9 has joined the crowd. Computers that come with a graphics accelerator should see significant speed increases on sites that include a lot of motion graphics or video. I tested this with several HD videos on YouTube and definitely did see less stuttering. Finally, Tracking Protection has been added to come in-line with Chrome and Firefox. This allows you to control what information websites can record about you. It uses an “opt-in” feature, meaning a sites must ask your permission before you’re tracked. Normally this is harmless and in some situations convenient, but certain sites can get out of control. Microsoft is going to publish an optional “Tracking Protection List” that can be used to block known problem sites. IE9 is not without flaws, and a few became apparent quickly. Not all sites render the way they should. A couple of my normal Internet hangouts had squashed boxes everywhere, were missing portions of the page, and website buttons were not functional. Microsoft saw this problem too, so their fix is to add a “compatibility View” button on the address bar. For some reason, they chose a torn piece of paper to indicate the IE9 can’t display the page properly (which would seem to say “IT’S THEIR BROKEN PAGE! NOT US! ), but at least it’s easy to turn on and off. Microsoft finally started getting on the ball for web standards support. HTML5 is the new standard developers follow, and IE9 has made some large improvements in support over IE8. However, it still lags far behind Chrome and Firefox in next-gen web feature compatibility. Recently they were called out on HTML5 support after claiming the Beta was the most compatible available. In the end this could hurt IE9’s market share as developers are going to grow weary of specially coding pages just for Internet Explorer. Testing IE9’s HTML5 compatibility on HTML5Test shows it scores a measly 130 out of 400 checks, but it’s better than IE8’s score of 85. To compare, Chrome 10 scored 288 and Firefox 4 Beta scored 260. In Microsoft’s defense, many of these standards will not be finalized until 2014 so there is plenty of time to add support. Finally, I would have liked to see smarter right-click menu options. Menu choices should change depending on what you right-click on. You should have choices available such as Search and Go, copy image URL, etc. Instead you get the same “kitchen sink” approach that IE8 provided- right click on something and you get 50 choices- half of which are unavailable for one reason or another. Hopefully this will be improved. Despite these shortcomings, IE9 is an excellent upgrade. In fact, I would even say it’s an awesome upgrade. If you are a casual user IE9 provides speed increases, Windows integration, and increased security that will bring you immediate benefits. If you’re someone who likes to take advantage of the latest tools and tricks, you’ll probably want to use something else for the time being. I did not realize that people still use Internet Explorer! Well, I have done without it for years, and I see no reason to go back to it. Chrome is a fine replacement for IE, in my opinion. It’s still the most used browser, and if you work in an office, it’s really your only choice because it’s the only browser that can be administered from a central location. It might be good if it did not constantly crash!